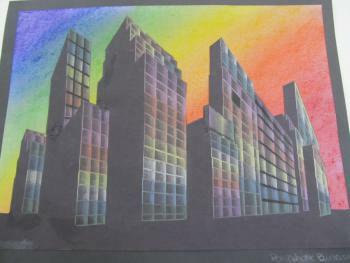 using 2 point perspective on black paper creating an interesting sky line. They pick a side to be receiving the evening sun light. The windows are colored in with metalic color pencil. The background is cut away and glued on pastel colored construction paper.